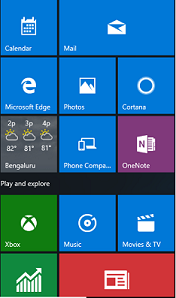 In this post we are going to explore about the all new Windows 10 start menu. There was always a complain with Windows 8 and Windows 8.1 is that they do not have Start menu like Windows 7. Windows 10 have restored the Start Menu in Windows 10 with some of the additional features. As you can see in the above image we have a start menu on the left corner, along with that we have a search bar to search anything on your windows machine or on web. As you can see it is not the Start menu that you are used in Windows 7 and Vista, in fact its better than that. In my opinion Windows 10 Start menu is the best Start menu till now. Lets go through some of the features of Windows 10 Start Menu. The left side of the Windows 10 Start menu is most identical to the Windows 7 start menu except some coloring and formatting. There are some improvements though like we have file explorer, settings, power button and all apps at the down. 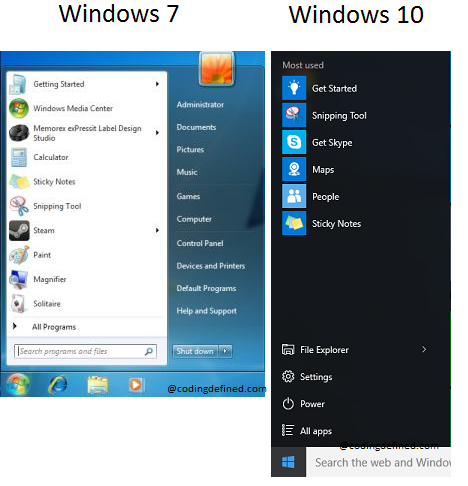 s you can see in the below image the difference between the Start Menu of Windows 7 and Windows 10. 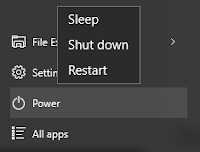 Since important buttons like Power, Settings has been moved to left side of Windows 10 Start menu. It has created space on the right side of the Start Menu. On the right side you will get a feel of Windows 8 or 8.1, where you will get the live tile/Metro portion of the new Start menu. By default you will get a bunch of Metro apps like Calendar, Mail, Cortona etc. So that means if you see on the right hand side of your Windows 10 Start menu you will get the large icons of your favorite apps and games. As you can see you have Microsoft Edge, Photos, OneNote, Music all in one place. The Windows 10 Start menu is quite customizable. You can change the background color, drag the live tiles around, and you can even pin your favorite apps on the let hand side. 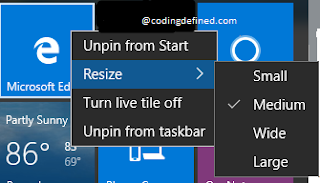 When you right click on any of the tile you will get options like Unpin from Start, Resize, Turn Live tile off and Pin to Taskbar. You can even expand the Start Menu from the top or from the right. 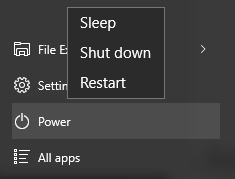 Then there is a Power button on the left side of the Start Menu to Sleep, Shut down or Restart your PC.